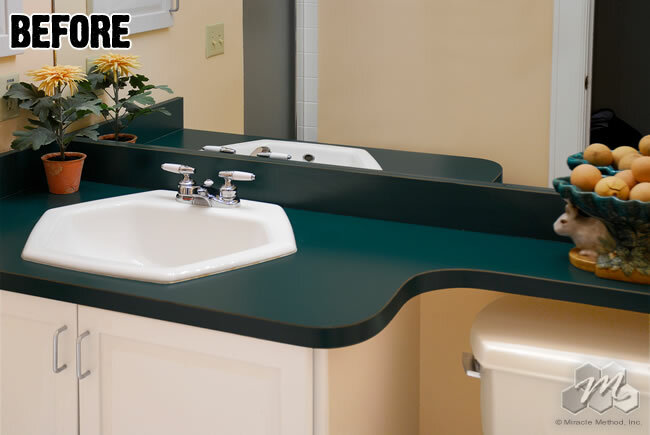 Using color in your bathroom makeover has become a common way to spruce up even the smallest, most awkwardly laid floor plans. Color is a great way to add life to an otherwise dull room. This summer, try experimenting with the latest trends. Here are a few color trends to consider for 2013. For minimalists, choose neutrals in slate grey, white, ivory and beige for your bathroom. Add a cozy and warm feel by using varying textures in your bathroom, such as a soft plush rug and cozy Natural Accents countertops. Bold vibrant colors are also a key trend this season. Dark bold colors evoke luxury and elegance and instantly make a statement. A good example is using bold red tiles on the walls. A pop of color is always eye-catching! For those who cannot decide, color blends create an equally tantalizing option. Use a dark colored floor paired with neutral walls for a contrast. 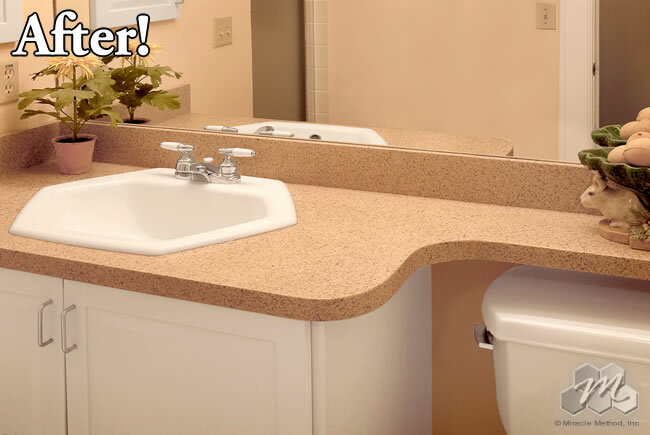 Refinishing is a fast and affordable way to change the color of your bathroom fixtures. 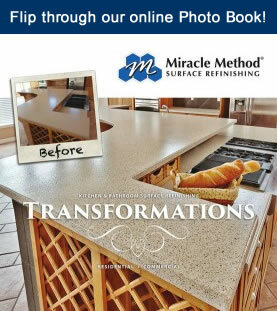 Let Miracle Method help you give your bathroom a new look. Contact us for more personalized tips for your next project.